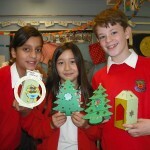 Upper School children took part in a range of Christmas activities over three days in the last week of term including cooking biscuits, sewing and the papercraft activities pictured below. 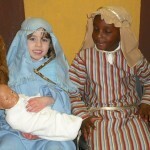 Images from the Foundation performance of the Nativity. Left holding the baby! 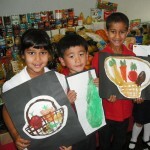 The school was very busy as children, supported by their families, came to school on a Saturday to take part in the annual Christmas Fayre organised by the PTA. 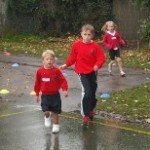 The school held a sponsored run on a very wet day to raise money for Daisy’s Dream, a local charity supporting children. 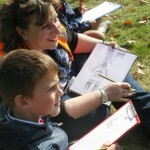 The final sum raised by the event was £4,400. 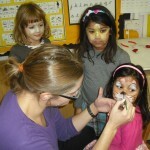 Children from Middle School were taken to Ufton Court as part of their work on the Tudors. 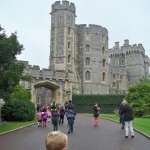 Lower School children spent the day at Windsor as part of this term’s work on castles.